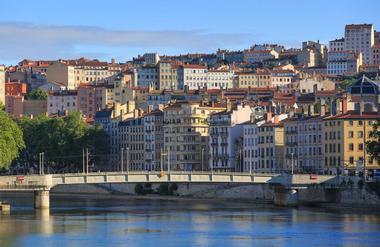 Lyon is France's third largest city and is known for its rich history, cuisine, and architecture. This UNESCO World Heritage Site has a history of producing and weaving silk, and visitors can still explore the traboules through which the silk was transported. 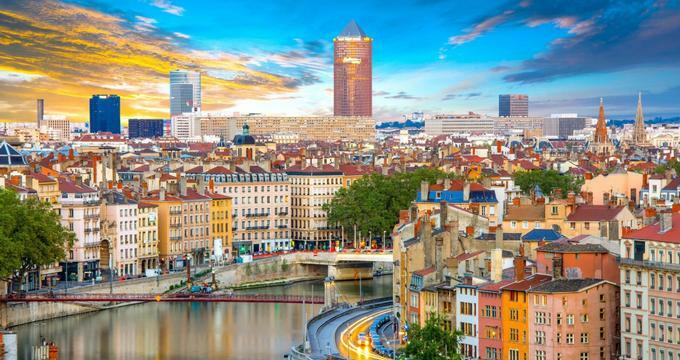 Some of the most popular attractions in Lyon include the museums and amphitheaters in the Fourvière, the historic sites in Vieux Lyon, the art in the Basilica of Notre-Dame de Fourvière, the Museum of Fine Arts of Lyon, and the street art and markets found on La Croixe-Rousse. The Grand Theatre of Lyon, also known as the Ancient Theatre of Fourvière, was constructed in 15 BC on the hill of Fourvière and is able to seat over 10,000 people. This ancient structure is one of the oldest of its kind and after years of deterioration was restored in the 20th century for visitors to be able to enjoy for years to come. Though the theatre is one of the most visited tourist sites in Lyon, it is also home to the annual festival of Nuits de Fourvière, which is a collection of circus, dance, music, and theatre and invites visitors from all over the world. 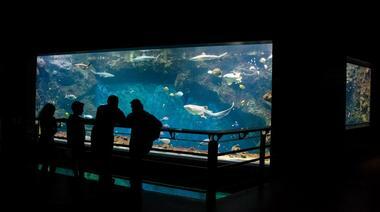 A public aquarium located in the heart of Lyon, Aquarium de Lyon opened in 2002 and is home to over 5,000 fish. The 300 different species are located in 47 tanks, which vary from freshwater to saltwater environments. Visitors of all ages will enjoy exploring the aquatic animals and the interesting aquarium layouts with false shipwrecks and other fascinating decorative features. The largest and most popular exhibit is the "Fosse Aux Requins," where visitors can visit sharks and stingrays, while younger visitors will love "The Five Senses" exhibit, where they can hold certain fishes, sea stars, and hermit crabs. The Basilica of Notre-Dame de Fourvière was built in the 1880s and is dedicated to the Virgin Mary, who was credited with saving the city of Lyon from the bubonic plague that hit Europe in 1643, the cholera epidemic in 1832, and the Prussian invasion in 1870. The church was a place for people of Lyon to be able to thank her. Visitors in Lyon in December can see the city and the church light up during the Fête des Lumières – the Festival of Lights. 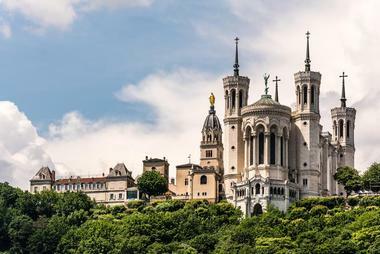 Built atop Fourvière Hill, the church stands prominently over the city and is a symbol of Lyon. Visitors can enjoy guided tours of the basilica and the Museum of Sacred Art and can sometimes access the basilica's north town and see amazing views of Lyon. The Grand Parc de Miribel-Jonage is a 2,200-hectare urban park and recreational space that attracts both locals and tourists. Visitors can spend a relaxing day enjoying the many activities found in the park, such as horse riding, bicycle rentals and trails, guarded beaches, restaurants, cafes, and numerous picnicking spots. Visitors of all ages enjoy exploring the lush surroundings filled with flora and fauna, with contrasting landscapes that range from dry meadows to waterways. As well as being a nature park, the space is also dedicated to developing and preserving the area's natural heritage, supplying drinking water to urban areas, and providing protection against floods. 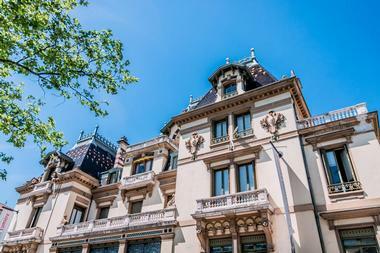 The Institut & Musee Lumiere is an institution and museum dedicated to the preservation and promotion of French filmmaking as well as honoring Auguste and Louis Lumière, who invented the cinématographe, among their many contributions to filmmaking. Founded in 1982, the museum is located within the former home of the Lumière family, while the institute can be found in one of the family's nearby factories. Other than the Lumière brothers' famous cinematograph, other objects in the collection include the Demenÿ chronophotograph and Thomas Edison's kinetoscope. Guided tours are available in French, English, Italian, German, and Spanish. 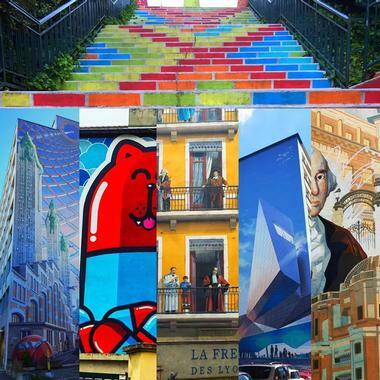 The Le Mur Des Canuts is a large fresco painting found in Lyon and designed by CitéCréation. The company has over 670 mural art works all over the world, each of which adds a beautiful, almost magical, aspect to its surroundings. Each of the urban designs reflects something of significance in the area, and visitors in Lyon can see the story of the silk workers who rebelled against their working conditions in the 1800s in the Le Mur Des Canuts. The astonishingly realistic mural is impressive and filled with details that let visitors see what life was like for the workers. The Cathédrale Saint-Jean-Baptiste de Lyon, more commonly known as Lyon Cathedral, is a Roman Catholic cathedral dedicated to Saint John the Baptist and is the seat of the Archbishop of Lyon. 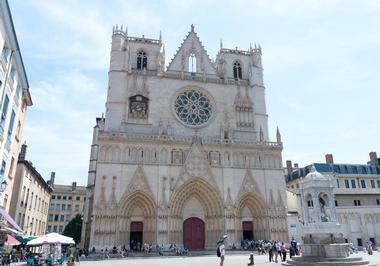 Built between the 12th and 15th centuries, Lyon Cathedral sits on what was once the churches of St. Etienne (St. Stephen) and Ste Croix (Holy Cross) and a baptistery. Visitors today can still see the remains of these structures in the archaeological garden next to the cathedral. When exploring the cathedral, visitors will come across a stunning 14th-century astronomical clock that sounds a unique combination of chimes, angels heralding, and roosters crowing at certain times throughout the day. The clock is a technological marvel and is one of the main highlights found in the cathedral. Another highlight not to be missed is the breathtaking 13th-century stained glass windows found in the choir. AiroTour is a wonderful concept that allows visitors to sign up for a free walking tour in various cities around the world. The local guides know all of the best places to visit in Lyon no matter what a visitor is interested in, whether it be religious art or local cuisine. 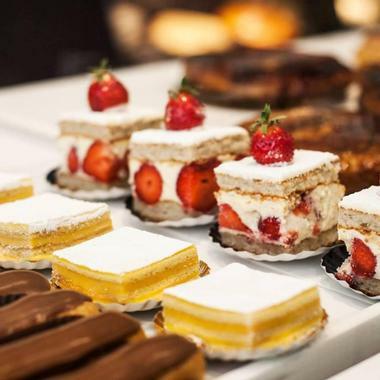 And indeed, what could be better than a walking tour of the most amazing patisseries or traditional bouchons while learning about the history of the culinary capital of France? The guides take visitors to hidden gems and keep the small groups informed with fascinating facts about their surroundings. 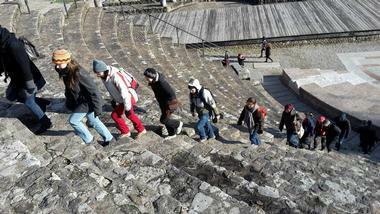 The best part is that visitors tip the guide what they want, depending on how much they enjoyed the tour. Lyon City Boat inaugurated their company with their first boat ride on the Saône and Rhône rivers in 1984. 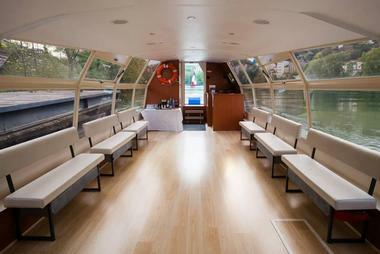 Now visitors have a choice of six luxurious boats and river barges to choose from with which to explore Lyon in a unique and fascinating way. Whether onboard the restaurant boat Hermès or the river barge Ville de Lyon, visitors will have one of their most memorable vacation experiences once they climb aboard. The Lyon City Boat experience is also a popular choice for those celebrating birthdays, anniversaries, or any other special events as they offer sightseeing cruises, dinner cruises, and private cruises. Visitors will not only get an opportunity to take stunning photographs, they'll also be able to learn some fascinating tidbits about Lyon. 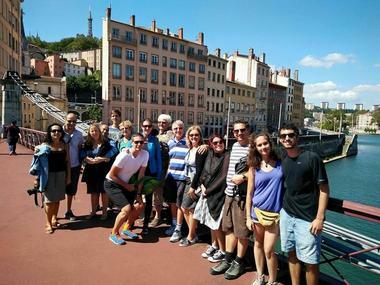 Whether from the Lyon Confluence to the Fourvière or from Vieux Lyon to Croix Rousse, Lyon City Trek is a great way for visitors to spend a day walking the city and really get to know the land and its people. Offering a cultural side of Lyon that can be missed if you don't know where to look, the tours can go for hours, meandering along hidden paths and unknown routes. All tours are focused on discovering Lyon but there are a range of different aspects on offer, such as cuisine, flora, fauna, sports, and history. All tours are conducted by guide and owner Patrick Mathon, who was born and raised in the heart of Lyon. The Lyon History Museum is considered a starting point to discovering the city of Lyon. With exhibits that focus on how the city was developed, visitors will be taken back in time to better understand the social, economic, and cultural events and activities that shaped Lyon into what it is today. There are over 80,000 objects and works of art in 31 permanent exhibits in the museum, each broken down by era. Popular pieces include old plans to structure the city, tools, paintings and drawings, furniture, and numerous other goods. There are many tours on offer at the museum, some which focus on how the town was developed while others display the routine and day in the life of past residents. Whether the only thing you know about wine is that it's made from grapes or whether you're an expert wine taster, Lyon-Winetours has something for everyone. 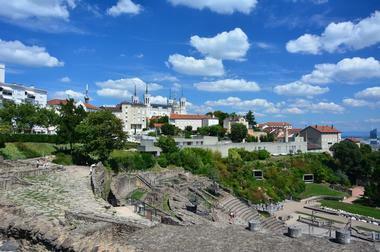 The tour company combines the beauty of Lyon with some of its famous local vineyards. Visitors are driven and guided through the stunning scenery in small, fun groups by a local professional and spend their time discovering wines and sampling delicious foods to pair them with, all while exploring Lyon's stunning beauty. Visitors can request personalized and private tours based on the length of their stay and their interests; it's also great for visitors looking for something more intimate and special. 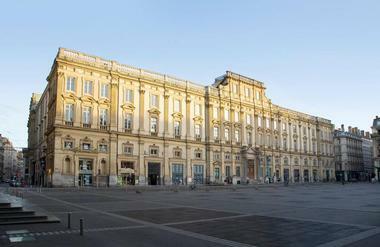 The Musée des Beaux Arts de Lyon, or the Museum of Fine Arts of Lyon as it is more commonly known, is one of the largest art museums in France. Housed in a former 17th-century convent, the museum has a wide range of antiquities and art in its collection, with objects stemming from ancient Egypt to modern Europe. Some of the more popular exhibits include famous 16th to 18th century French paintings by Jean-Baptiste Greuze, Philippe de Champaigne, and François Boucher as well as sculptures by Rodin and James Pradier. The museum's antiquities department focuses mainly on ancient Egypt and has objects such as figurines and vases donated by the Musée du Louvre. A more recent addition to the many attractions in Lyon, the Musée des Confluences has been open since December 2014. The anthropology museum and science center has a focus on earth sciences, natural science, and anthropology, with exhibits and activities that excite visitors of all ages. Focusing on answering questions such as "where do we come from" and "who are we," the museum takes visitors on a journey to the beginning of the universe, evolution, and how humankind now functions in society. A fun place where visitors can explore the exhibits and discovery spaces, the museum is a memorable stop during a vacation in Lyon. The Musee Miniature et Cinema, or the Miniature and Cinema Museum, is a private museum found by modelist Dan Ohlmann. Filled with miniature everyday scenes, special effects exhibits, and neat movie props, the museum's collection includes works not only by the founder but also by artists such as Julien Martinez, Michel Perez, and Yves Chouard. There are twelve rooms comprising the collection, which includes miniature decorations and vehicles, life-sized decor, costumes, animatronics, and masks and prostheses. 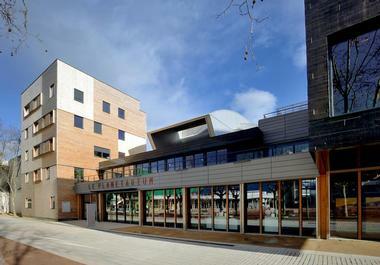 Visitors will learn so much about digital cinema as well as stop-motion and 3D animation. Although lovers of cinematography may fully appreciate all that the museum offers, visitors and locals will find it just as wondrous. 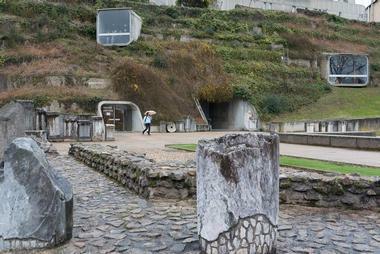 The Gallo-Roman Museum of Lyon-Fourvière, or Musée Gallo-Romain de Lyon-Fourvière as it is known in French, is a museum dedicated to narrating the many centuries that Lyon was ruled by Rome. Taking visitors back to 44 BC, when Julius Caesar found the city as Lugdunum, visitors of all ages will learn how Lyon flourished and became a thriving capital through a collection of archaeological artifacts from ancient Lyon. From sculptures and statues to inscriptions and mosaics, the museum has an extensive collection that includes stunning jewelry and unique everyday objects. 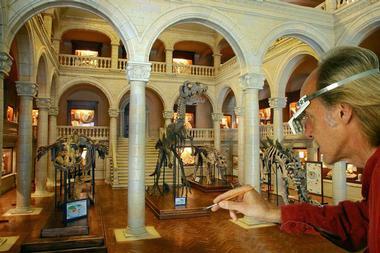 There are many activities and events held at the museum, such as Night of Museums, which allows visitors to spend the night and explore the exhibits. Offering guided tours in Vienne and Cluny as well as Lyon, New Generation Guide is a non-conventional tour of Lyon that lets visitors really interact with the places and people of Lyon. The licensed professional guides ensure that visitors of all ages have a good time on these English-speaking tours that walk through Old Lyon or discover the architectural wonders of the old city. Other than architecture and history, the tours also focus on art, culinary concoctions, and French heritage. The tours can be private or personalized to families, groups, and visitors who want to focus on specific subjects. The Parc de la Tête d'Or, or the Park of the Golden Head, is a popular location for locals and visitors to go and spend the day relaxing with families and friends. 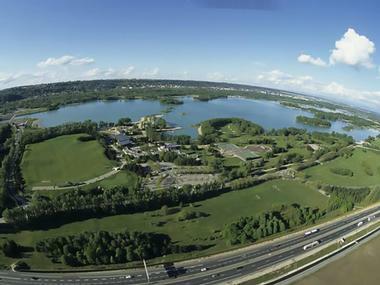 The park is over 117 hectares in size and includes a lake, jogging paths, and a small zoo. Visitors can spend the day boating on the lake, going for an evening jog or bike ride, having a picnic, playing mini golf, or horse riding. The small zoo is a great place for visitors with younger kids as it's home to elephants, giraffes, deer, reptiles, and other animals. The park has an area dedicated to the African plains and is also home to a wetland that houses pelicans, flamingos, and many other species of bird. A large and popular town square in the heart of Lyon, Place Bellecour is one of the largest open squares in Europe. The square is popular with tourists as it's mostly open to pedestrians. Other than its famous lack of greenery, the square is also popular for the equestrian statue of King Louis XIV, which was created in 1825 by François-Frédéric Lemot. There is also a statue of Antoine de Saint-Exupéry sitting in front of the Little Prince, a popular French character. 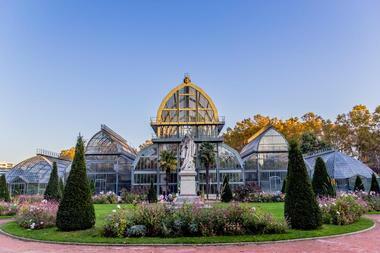 Nearby, visitors will find the city's popular shopping streets and Lyon Cathedral. Located in the metropolis of Lyon, the Planetarium Vaulx-en-Velin is a planetarium filled with exciting astronomy exhibitions, interactive attractions, and workshop programs for visitors of all ages. There's much to see and do, including sitting in on an astronomy session, visiting one of the astrophysics exhibitions, listening to a lecture (for ages 8 upward), or participating in a course to learn more about outer space. Answering questions such as how the Earth originated and how the sun came into existence, visitors of all ages will find exciting and adventurous new ways to explore the universe through the planetarium. 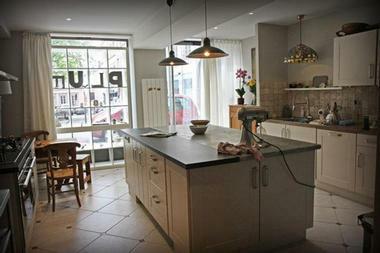 Lyon is often considered the gastronomic capital of France and the Plum Lyon Kitchen allows visitors from all over the world to have a hands-on experience. Offering a variety of classes, such as seasonal market classes, children's cooking workshops, and classic French cooking courses, visitors are able to learn so many different techniques and themes that are common in French cuisine. The classes are catered to small groups so that everyone gets the individual attention they need to make the most of their culinary experience. Some of the best parts also include touring the markets for fresh ingredients, cooking meals with techniques passed through the generations, and pairing the meals with a delicious glass of wine. 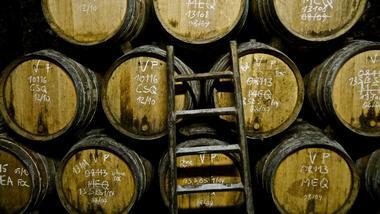 The Savor France Food Tour is a tour through Lyon's most treasured eateries and restaurants. For nearly four hours, visitors will be able to see some of the city's most picturesque sites as they discover culinary specialties on their walking tour. Some of the greatest chefs in the city create culinary concoctions that will leave visitors stunned. The local tour guide takes the small group of visitors through five gourmet stops, six sweet and savory tastings, two local wine tastings, and offers a gourmet notebook for visitors to keep track of their explorations. Visitors will be able to try the foods that Lyon is known for, such as pralines and chocolate, macaroons, and quenelles. 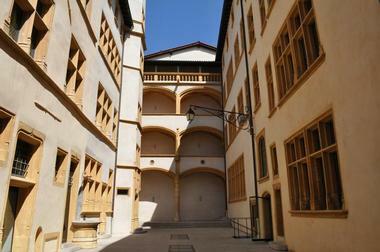 The Traboules du Vieux Lyon comprises hundreds of hidden passageways that weave through the old city of Lyon. The traboules were built in the 4th century and played a role in preventing the Germans from taking complete control during WWII. Nowadays, visitors can explore the tourist attractions as many of the hidden paths are free and open to the public – nearly 40 out of 400 are available. Consisting of courtyards and old buildings, alleyways and staircases, the traboules are a great way to explore historic Lyon. 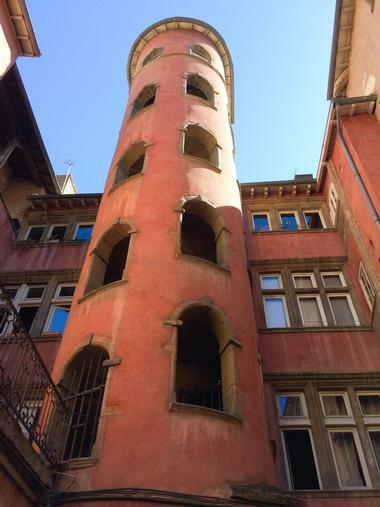 One of the most popular and most picturesque traboules can be found in Saint Sebastion and includes a historic six-story staircase. Vieux Lyon, or Old Lyon, is one of the largest and oldest Renaissance districts. It is considered one of France's most important cultural sites and is broken down into Saint Paul, Saint Jean, and Saint Georges. Each of the sections focuses on different aspects of Lyon's past, such as political and religious power, the Italian banker merchants that made the city wealthy, and the silk weavers that settled in the 16th century. Visitors can explore Lyon Cathedral, Gare Saint-Paul, and buildings in the Rue de Boeuf among the many other attractions that can be found there. It's also the starting point of many tours that focus on history, art, architecture, and Lyon's gastronomy.